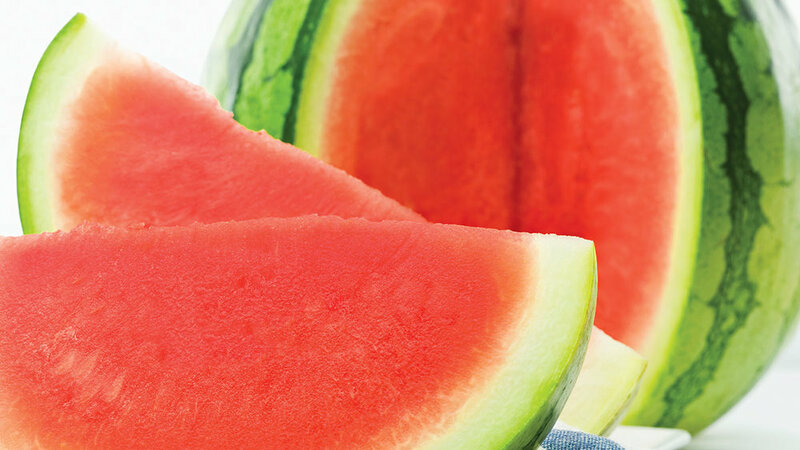 Our Seedless Watermelon, sweet inside but without the numerous seeds found in conventional watermelons. The ultimate in convenience food. Available in Conventional & Organic. - Our perfect sized Mini Watermelons are about the size of a cantaloupe or smaller, this variety of the fruit has the whole full flavor and texture. . Their convenient size makes them easy to handle as they fit easily into a refrigerator.